After starting his legal career with an international law firm. He also served as a Judicial Law Clerk to the New Jersey Superior Court. Serving terms in both the Civil and Criminal Divisions, he has been exposed to a kaleidoscope of substantive and procedural nuances of law. 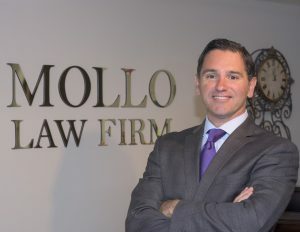 Mr. Mollo also has a comprehensive understanding of legislative intent and issues, as he has previously worked in the New Jersey Legislature and the Office of the Speaker of the United States House of Representatives in Washington, DC. Mr. Mollo received a B. A. from the University of Arizona and a J. D. from St. John’s University School of Law.